MICHAEL SÜß is a Research Fellow at the Technische Universität Dresden who is currently working on his PHD focusing on design guidelines for additive manufacturing/electron beam melting. In addition to this, Michael also works very closely with the Fraunhofer Institute for Manufacturing Technology and Advanced Materials IFAM. The Fraunhofer IFAM is one of Europe's leading research institutions in the fields of adhesive technology, material sciences, and manufacturing techniques. When looking for a demonstrator to design as a portion of his research, Michael thought back to his time working on a Formula Student team. Michael noted, “I had a history of working on a Formula Student team and wanted to help the current team at the Technische Universität Dresden out. I asked the ELBFLORACE Electric Formula Student Team to suggest a volunteer who is currently working on their project thesis to collaborate with on this project.” This is where Michael met Lucas Hofman, a current student at the Technische Universität Dresden. Michael and Lucas both learned about Altair Inspire in different ways. Michael was first introduced to Altair Inspire at a workshop taking place at the international trade show, Euromold. Lucas was first introduced to the tool at a Formula Student workshop that his university was involved in. Both were immediately impressed with the ease of use of the tool. 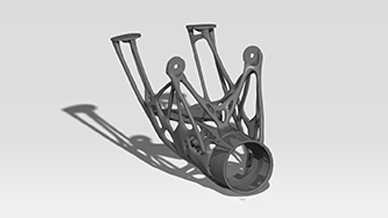 Michael noted, “I love how easy it is to use the PolyNURBS features, it allows us to quickly take optimization results and reconstruct the part so it is ready for manufacturing. In the past, this was always the most difficult part of working with optimizations. 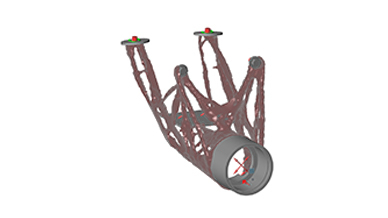 We no longer have to use multiple reverse engineering tools, we can now do it all within one tool, Altair Inspire.” Michael and Lucas also noted the usefulness of the integrated analysis tools in Altair Inspire, which allowed them to simulate real world conditions on the part. The new steering column mount is now in the post-processing phase. Michael and Lucas are hoping that it will be ready to be included on the Formula vehicle very soon. After their incredibly successful usage of Altair Inspire including impressive weight savings and performance increases, both Michael and Lucas noted that they plan to use the tool more in the future. Lucas even noted that he plans to use it for his diploma thesis. 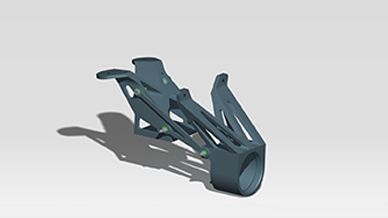 Design and manufacture a new Formula Student steering column mount. 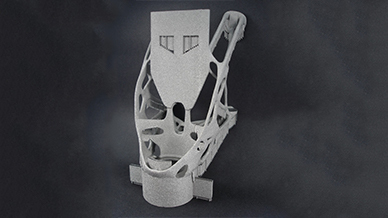 A process involving the use of Altair Inspire for design and electron beam melting for production of a new part that reduces design time, material and increases performance characteristics.